Our first signing and house band The Bedlam Six has announced that they will be taking a break for an unspecified length of time once they’ve returned from their next tour. This is partly due to guitarist Matthew Cleghorn (who is also a member of Richard Barry’s backing band The Chaps) relocating to Brighton. A hiatus had been on the cards for a while though. Louis wrote about some of the other reasons for this decision in a blog on his personal website. The remainder of 2014 live dates include shows in Germany, Holland, Austria and Switzerland. 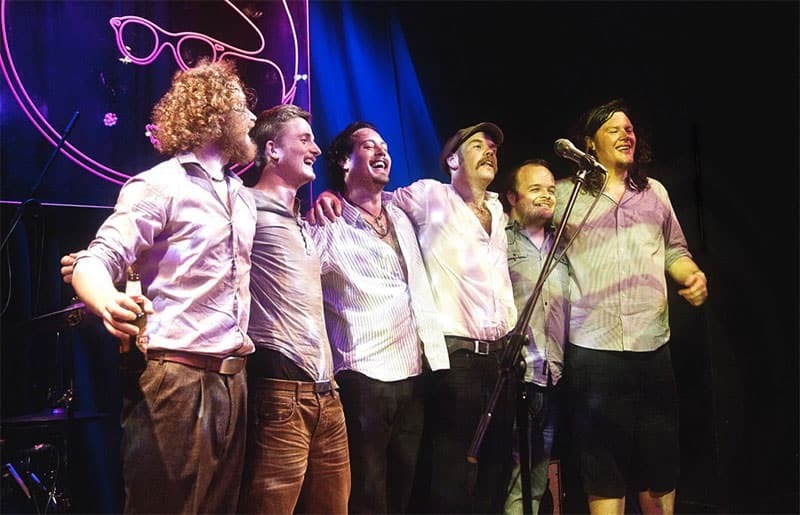 Their final UK show will be in Emsworth (trombonist Biff Roxby’s hometown). Tour details and ticket links can be found on The Bedlam Six’s official website.